I love this little light. It's just bright enough to read by really good but not get woke up by my husband sleeping beside me. The flexible shaft allows you to angle the light to the point where you need it most. I will certainly be buying another one. This light will be perfect for those middle of the night times when my husband usually wakes me up with the regular bedside lamp, because its so bright even on the dimmest setting. This is perfect. It's small and can be taken with you almost anywhere. 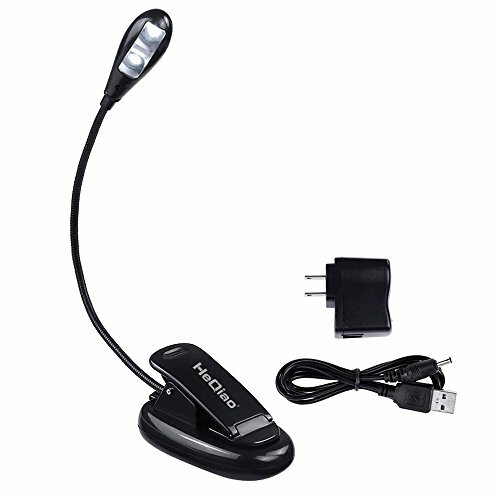 Can be used with a USB port or can be run off batteries, for those times when plugging it in is not an option. I have one of these and I love it.